A new year is upon us - a time when we naturally begin to think deeper about ourselves, our families, our friends, and the world around us. We long to feel better, look better, "do" better, to grow closer to God and our loved ones - to be better in every way. As we begin this year anew, we offer this prayer with a hopeful and expectant heart for God's blessings for you and for us all. God, we praise you with all that we are (Psalm 103:2-3), knowing our strength comes from joy in you (Nehemiah 8:10) now and always. We praise you for your mercy, for forgiving our sins (Ephesians 1:7). Remind us that mercy always triumphs over judgment (James 2:13), and that only you, the God of all grace, will restore us and make us strong (1 Peter 5:10). Renew our hearts in this year, and let your gentle Spirit lead us down the right path (Psalm 143:10). Please grant us peace in our hearts (Proverbs 14:30). May our burdens lead us to rest in you as we grow closer to you each day (Matthew 11:28). Let us fill our minds with truth, righteousness, beauty and all things worthy of praise (Philippians 4:8). Thank you, God, for your promise to watch over us always (Psalm 32:8) and to hold us up with your victorious right hand (Isaiah 41:10). Thank you, God, for giving us a hope and a future (Jeremiah 29:11). Let us take every action in the coming year, fixing our eyes on Jesus (Hebrews 12:1-2). As we study the gospels it's quite clear that Jesus knew the purpose for which He came to earth, and that was to redeem mankind out of the hand of the enemy, and reconcile us to Father God. Several times in Scripture Jesus spoke to His disciples about His pending death and resurrection. He also predicted Judas Iscariot's betrayal and Simon Peter's denial (John 13). In the ninth chapter of Luke we read that 'As the time approached for him to be taken up to heaven, Jesus resolutely set out for Jerusalem' (Luke 9: 51). The King James Version says that Jesus 'set his face' in the direction of Jerusalem, which further emphasises the determination He had to fulfil His purpose, no matter what the personal cost. In today's scripture Jesus is about to be arrested and eventually will be led off to die on a cross. Judas has just betrayed him for thirty silver coins; the price for a slave! He guides a detachment of soldiers and officials from the chief Priests and Pharisees to the olive grove, where Jesus and His disciples are meeting. In their hands they're carrying torches, lanterns and weapons. Neither Jesus, nor those in His company at the time, were blind to their intentions. It was obvious that they'd come to arrest Jesus. Everyone would have been seized with a sense of dread, but only Jesus fully knew what would unfold over the next few days. Yet He still surrendered Himself to them, and more importantly, to the will of God. When Peter tried to defend Jesus and cut off the ear of the servant of the high priest, he was told to put down his sword. 'Do you think I cannot call on my Father, and he will at once put at my disposal more than twelve legions of angels? But how then would the Scriptures be fulfilled that say it must happen in this way?' (Matthew 26:53-54). Jesus also knew that He'd be bound, brought before Annas and the high priest, Caiaphas, and would undergo an illegal trial (John 18:12-13, & 24). He knew that He'd stand before Pilate, who would try to release Him, but would eventually give in to the wishes of the Jews (John 19). Jesus knew that He'd be brutally whipped by the Roman soldiers, until His flesh hung like ribbons from His back; that they'd ridicule him, spit on Him and press a crude crown of thorns on His head; dress Him in a purple robe and pretend to pay homage to Him. He also knew that they'd pull out His beard and strike Him in the face. Jesus knew that the crowds, incited by the Religious leaders, would cry out vehemously 'crucify, crucify!' Jesus knew that long, thick nails would be hammered into His ankles and wrists and that He'd die a prolonged, agonising death. He knew that even while He hung exposed on a crude Roman cross, the venom of His accusers wouldn't be satisfied, and they'd continue to mock Him in His vulnerable state. 'Come down from the cross, if you are the Son of God', they would taunt. The two robbers crucified with Him would also heap insults on him. His beloved Mother would watch all this from the foot of the cross and it would pierce her heart like a sword. Jesus even knew that His Heavenly Father would turn His face away from Him as the sins of the world were laid on His shoulders, and for the first time in all of eternity, He would experience the pain of being forsaken. Jesus, our Lord and Saviour, knew all of this, long before it took place, yet He still chose to give His life as a ransom for many. He died for you and He died for me! O what a Saviour we have! O what great salvation! Prayer: Thank You, Jesus, that even though You knew what awaited You, when You left heaven and came to earth, You still came. Thank You that You endured the cross, scorning its shame, so that I could be reconciled with Father God and spend eternity in heaven. I'm forever grateful to You. Amen. Did you know that the longest telegraphic message ever dispatched was in May, 1881? It carried 118,000 words. It was printed in full that day in the Chicago Times. One of the nation's leading newspapers gave space for four Gospels, the Acts of the Apostles and the Epistle to the Romans. 'A triumph of publicity' was the verdict of the nation's press. All this was done because the Revised Version of the New Testament in English was on sale that day. In New York City, 33,000 copies were sold within 24 hours, setting a new sales record for any book. Why does the Bible remain the world's most widely read book? For one simple reason: you read every other book - the Bible reads you! You say, 'But I don't get a lot out of the Bible when I read it.' You are not alone; many people say the same thing. Why do we keep going back to the Bible? Psychologists are agreed on this point: people only keep doing what rewards them! So when Bible reading becomes unrewarding, we quit. As a result we feel guilty, and become spiritually weak and discouraged. Your soul can no more thrive without God's Word than your body can thrive without a daily intake of food. One of the dangers of our always-connected technological age is that you begin to live on 'hits' of information and short messages limited to 160 characters or less. This creates spiritual ADD (attention deficit disorder). God cannot be reduced to a limited word count or a few hurried moments in your day. To prosper, you must meditate day and night on the Scriptures (Psalm 1:1-3). You say, 'But I don't have time to read the Bible.' How much time do you spend each day watching television? Hours? If you find television to be rewarding, but not God's Word, your soul is in need of intensive care! Henry J. Heinz, founder of the Heinz food company, introduced the marketing slogan '57 Varieties' in 1896, depicting the range of their products. Well, most of us have at least that many excuses for not reading our Bible every day. You say, 'But I have a very busy life.' Edgar G. Watts of California, aged 84, read the Bible from cover to cover 161 times. And here's something you probably don't know: he had the use of only one eye for 55 years. Can you imagine telling a physical trainer you'd really like to be fit, but you don't have the time to come to the gym? He'd say that you're not serious! (1) Decision. You must establish Bible reading as one of your daily priorities or it'll never happen. (2) Duty.You may not feel like going to work each day or caring for your family, but you know it's your duty so you do it. What about your soul? Don't you have a duty to feed yourself spiritually and stay strong? God's Word works - when you work it! But it only 'continues to work in you who believe.' So don't read it and then go out and say something different; get into agreement with God. Let His Word on the issue be word on it too! The greatest investment you can make in yourself is reading your Bible. Can you imagine how honoured you'd feel to have a personal audience with a president or prime minister? What are the chances you'd say, 'Sorry, I'm too busy. I can't come'? No, you'd approach them with profound respect, observe every protocol and hang on every word. Well, you can have a personal audience each day with the King of Kings and He will speak to you personally through His Word. Whatever you have to sacrifice, whatever priorities you have to rearrange, Please read your Bible every day. If you have accepted Jesus Christ as your Savior, this doesn't just mean that you are the same person but have just "accepted Jesus and going to Heaven". No, it means that you are a whole new creation - NOW and for all eternity. You are "born again" spiritually and have become a new creation in Christ (Read John 3). Even as believers for years, we often fail to see all that we are in Christ and/or just plain need some reminders. So here are some reminders straight from God's word - He tells us just who we are (whether we FEEL like it or not!) Let's all soak in these truths today and remind ourselves of them often. I am not the Great 'I AM' but, I am what I am! I am the Salt of the Earth whereby others see Jesus! I am a branch in Christ! I will bear much Fruit! I am Chosen by Christ! I will bear much Fruit! I am free from Sin! I am a slave to Righteousness! I am a Slave to God! 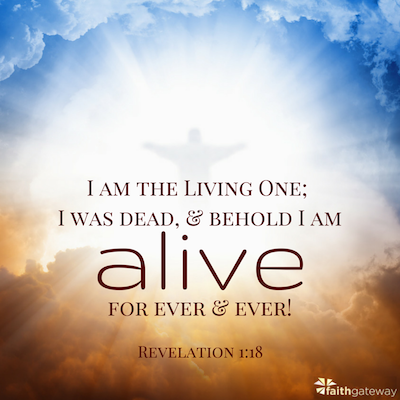 I have Eternal Life! I am a Son ( Daughter ) of God! God is MY Father!!! I am an Heir of GOD and a Co-Heir with Christ! I am the Temple of God! God's Spirit live in ME! I am part of the Body of Christ! I am a NEW Creation - the Old has gone the New has come! I am God's workmanship! I have work to do that he planned! I am Created to be Like God in Righteousness and Holiness! I am Hidden in GOD! I will be with Christ in Glory! I am Chosen, Holy and Dearly LOVED! I am of the Light! I have a Heavenly Calling! I am Chosen, Royal, a Priest, part of a Holy Nation and belong to GOD! I am an Alien to this World! I will be like Christ when He appears! I am SAFE in CHRIST! Nothing happens to me that doesn't pass through Christ! I am able to do ANYTHING if it is Christ's will! I am totally dependent on Christ! I am being changed each day to be more of who God intends for me to be! "The Story: Garments of Grace"
Nearly all of us have been here at one time or another embarrassed, humiliated, and heartbroken. Some of these moments involve simple pride and embarrassment. After over 35 years of speaking around the world, I still feel the embarrassment of my first public speech. Cub Scouts... explaining our project... making a little boat... and I remember exactly what I said that night. "My name is Phil Ware and..." There was nothing said after the "and"! I stood there with my face turning red, my insides quivering, and wanting to be swallowed by a large hole in the floor. I couldn't say a word. In front of my friends and family, I shut down, then ran out... humiliated and embarrassed, vowing to never speak again. While the sting remains, my vow didn't hold... thankfully! Some of these moments, however, involve unspeakably deep wounds that came from someone very close to us betraying us, abandoning us in our time of need, or seeking to do us harm. What makes it even harder is that at one time, they had been committed to us as a friend, business partner, or a spouse and have now used that closeness to rip our guts out. Sometimes, our humiliation is actually brought on by our own failure that brought deep wounds to others and destroyed something precious between us. These unspeakably deep wounds can take forever to heal. They can be re-opened by a thought, a memory, a song, a poem, a smell, a place... or a jillion other things. Yes, these are unspeakably deep wounds of humiliation and hurt and failure and live with us, just under the surface of our facades. This week, many of us have remembered Jesus on the way to the cross. He had been journeying toward the cross for quite some time. He has been warning his closest friends and followers that he must go to Jerusalem and die (Mark 8:31-32; Mark 9:30-32; Mark 10:32-34). But now, this awful and certain future is near the plans are underway and the dark forces behind this awful set of events are already in motion. And nearly everyone close to Jesus whether friend or foe is about to fail him through betrayal, denial, abandonment, mockery, and murder. Jesus' band of friends and followers sleeps in the garden, unable to stay awake and pray with Jesus as he wrestles with his dark destiny, and as he submits himself to the will of God above his own desires and fears. Even his closest friends, Peter and James and John, cannot stay awake with him! Judas arrives with his retinue of cowardly co-conspirators the soldiers from the Temple and the priests there to do in the night with swords and torches what they would not dare do in the daylight. Judas betrays his Teacher, his Lord, with a kiss! He will later hang himself for betraying Jesus for 30 pieces of silver so deep is Judas' despair with his own failure and self-humiliation. As Jesus steps forward and offers himself to the arresting soldiers, his closest friends abandon him, desert him, and run for their lives as the Gospel of Mark says so hauntingly, "Then everyone deserted him and ran away" (Mark 14:50). They will eventually hole up in the upper room to hide in confusion, disarray, and despair, not once remembering his promise to rise from the dead clueless of how or where to regain their lives from the dark night they had entered. Peter, who had emphatically proclaimed that he would be loyal no matter what the others in their little group would do, is now about to deny his Lord for the third time. His eyes meet Jesus' eyes from across the courtyard after Peter's final betrayal. Jesus' "Rock" then hears the rooster crow. His soul is torn apart by the shearing forces of shame, confusion, and grief as he watches Jesus handed over to be crucified. Peter then breaks down and weeps uncontrollably. There is one verse, one simple and mysterious reference in the Gospel of Mark, that speaks to all of us and to all of this this spineless, visionless, abandonment of the Son of God. They leave him alone, abandoned to face the hosts of hell and their human partners in the Sanhedrin, the High Priest's household, Herod's rule as King of the Jews, and Pilate's procuratorship as the enforcing power behind the Roman boot of oppression. And a young man, with nothing but a linen garment, was following Jesus. When they seized him, he fled naked, leaving the garment behind (Mark 14:51-52). These are intriguing verses.Two haunting verses that serve as powerful reminders of the dangers of the night for Jesus' friends and followers. They are also reminders of the absolute "aloneness" that Jesus faces as he goes through the barbaric hours ahead. And for Mark, they become a way to say, "We were all exposed and naked, failures and disappointments to ourselves and to Jesus. Revealed for what we were pretenders and not protectors, fearful instead of faithful, and forsakers instead of friends. Seen for what we were, there was nothing left to do but hide in fear!" Jesus' closest friends are exposed in the naked light of truth! Embarrassed. Humiliated. Hiding. Jesus goes to face his own naked light of truth on Golgotha. He will be stripped of clothes three times before the ordeal is done. He is first stripped of his clothes so they can put a purple robe on him, strike him with rods, spit upon him, and mock him (Mark 15:17-19). He is then stripped of his purple robe and his clothes placed back on him (Mark 15:20). He is stripped a third time, this time given nothing to wear so he would hang naked and exposed, humiliated and battered, as he died before a hostile, morbidly gleeful crowd of onlookers while the soldiers cast lots to see who would win his clothes (Mark 15:24). Jesus dies alone... humiliated... brutalized... and exposed for all the world to see. No secrets. No hidden wounds just gaping, horrid, fully exposed wounds. No privacy. No modesty. Inhumanity proudly displaying its latest victim, writhing in the throes of death, alone, on a barbaric tree, for all of us and in front of all of us. And the connection of grace that transforms these moments of humiliation? The redeeming virtue in all of this brutality, inhumanity, and barbarism? Two truths, both powerfully symbolized by the garments left behind. First come the garments of humiliation... the dark night of humiliation... now shared humiliation... seen in the garments left behind by John Mark and Jesus' garments gambled over by unnamed soldiers. For all of us who have had those moments of embarrassment, humiliation, abandonment, and failure, we find Jesus meeting us in the darkness of our worst moments, when we are fully exposed, naked before the world in our own failure. Jesus hangs there, letting us know that he knows what it is like to be there exposed, humiliated, and alone to face those who mock us. For every John Mark that has run away, naked in the night, afraid of tomorrow, fully humiliated and embarrassed, Jesus speaks softly, with arms outstretched, and says: "See, look at my scars. I received them before the eyes of every gawker and every mocker. I know how it feels, but I am here to let you know how it heals!" Next come the garments of grace... of hope and life and new days with bright dawns. Early on Sunday morning, while it was still dark, Mary Magdalene came to the tomb and found that the stone had been rolled away from the entrance. She ran and found Simon Peter and the other disciple, the one whom Jesus loved. She said, "They have taken the Lord's body out of the tomb, and we don't know where they have put him!" Peter and the other disciple started out for the tomb. They were both running, but the other disciple outran Peter and reached the tomb first. He stooped and looked in and saw the linen wrappings lying there, but he didn't go in. Then Simon Peter arrived and went inside. He also noticed the linen wrappings lying there, while the cloth that had covered Jesus' head was folded up and lying apart from the other wrappings. Then the disciple who had reached the tomb first also went in, and he saw and believed... (John 20:1-8 NLT). Jesus left behind his garments of death! The grave clothes, the linen cloth that Jesus was wrapped in just like the linen cloth John Mark had stripped off him are left behind. The cloth for his head is neatly folded. There is no rush, no fear, no worry for the risen Son of Man. He neatly folds this head piece as testimony for those who find it. "I am risen," it says, "and I am alive for you!" What powerful symbol! What powerful truth! What powerful hope! Therefore, if anyone is in Christ, the new creation has come: The old has gone, the new is here! (2 Corinthians 5:17 NIV). Resurrection happens, not just for Jesus, but for all of us who need fresh hope after our own failures and humiliations! But how can this be so? How can this be true? It is because we've left the garments of sin and death behind, and by faith we have clothed ourselves in the garments of resurrection! So in Christ Jesus you are all children of God through faith, for all of you who were baptized into Christ have clothed yourselves with Christ (Galatians 3:26-27 NIV). Do you know what it is like to be humiliated, exposed as a failure, and an embarrassment to yourself and to all who know you? Do you know what it is like to disappoint yourself or others in how you've handled a painful and difficult time? Do you wrestle with doubts about your value or worthiness and feel that everyone sees you as less than what you want to be? Do you struggle with the painful loss of someone you love and crave one last word, one last moment to say what was left unsaid or to fix one last thing that was left unfinished between you? None of us not you, not me none of us has to keep wearing our garments of loss, shame, failure, and disappointment anymore. The angels invite us, just as they did Peter and the beloved disciple, to look into the empty tomb, to see garments of death left neatly behind, and believe a new day has dawned! Our Jesus is risen. Death has been defeated. And grace has brought life to what once held us captive! To Those Who Do: What would you say if someone asked you "Who is Jesus?" Are you prepared to give an answer? It is important to know our own testimony of what Jesus has done so be able share the basics of the path to salvation. How do we do that? We start by reading our Bible and meditating upon God's word - spending time waiting upon Him and listening. May you truly be prepared to give an answer to everyone who asks you to give the reason for the hope that you have.